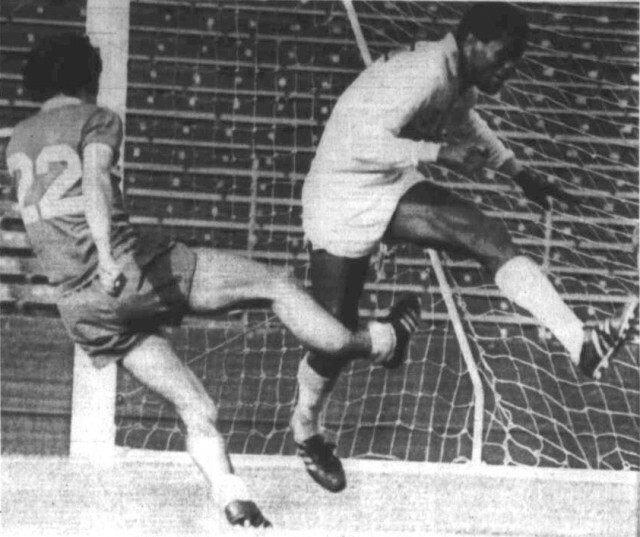 Bruce Twamley (22) got a break when the New York Cosmos gave him a tryout. But the break wasn't exactly the kind of North American Soccer League hopeful was seeking. This contact with Ramon Moraldo of the Los Angeles Aztecs resulted in a fractured leg for Twamely. The Cosmos beat the Aztecs 1-0 in the exhibition game at Los Angeles yesterday.